The GM PassLock system is good for your car, as it prevents threat of being stolen or snatched without its keys. Since the car cannot be started with no other key, it will get stalled once switched off, and will not be started again unless the PassLock system is disabled. If you are a genuine driver of your car and it is stalled somewhere with the GM PassLock security system on, be patient, take time and let the system be disabled before you can start off with your journey again. The process is simple but if you try too much force with it, it will cause you some serious inconvenience and a process, which can easily be performed and done, will become quite difficult and time consuming. You can disable GM PassLock system by performing some simple steps. If your car is stalled and you cannot start it again because of the PassLock security system, do not try to start it again and again, because it can drained your battery, and it will be difficult to start it again, even if you are able to disable the lock system. Instead concentrate on basic instructions and you will be able to start your journey again without much delay and hassle. Turn on the ignition key and leave it at 'ON' position, after the vehicle stalls. This is to turn on the PassLock security system to see if it is locked. Unlocking itself is not difficult but the process has to be allowed some time to reset itself to the default mode. 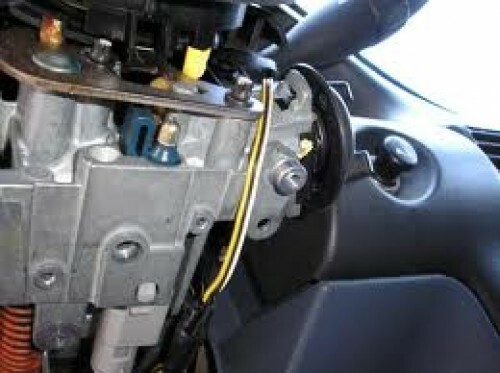 After leaving the ignition key turned to ON mode, look to locate the theft system. You can see a light blinking. You do not have to do anything but leaving the light in the same mode for about 15 minutes. After this it will stop blinking itself and the system will restart itself, resetting to the default position. After you notice that the light is no longer blinking, turn the ignition key to off position and then allow about another half a minute to theft system to reset itself. It is must to leave the ignition key in the OFF mode, as otherwise the system will not reset itself and you will not able to start your car. After the light on the theft system has stopped blinking and the theft system resets itself, try starting your car engine, which should do as normal. If your car does not start, repeat the procedure again and again. You may do it three times and if your car does not start you might need to consult a mechanic, as there might be some other problem with the vehicle. If you have tried to start the vehicle earlier too many times, it is possible that you have drained the car's battery, and it will need a power booster to restart again.